← What did those guys know? I’m still interested in showing how God appears to be hidden in the workings of the world more because the prevailing materialist worldview is blind to him than because he is intrinsically invisible. There was a long (and ongoing) discussion on BioLogos recently based on a case-study I gave of a healing in response to prayer. 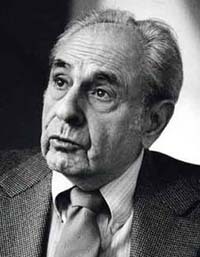 I could have perhaps sorted the materialists (believing as well as unbelieving) from the atheists better by choosing a less “religious” example, such as the kind of phenomena pretty familiar in everyday life, but absolutely verboten in serious discourse, such as premonitions, knowledge of being watched and so on. But here’s an example in a different realm – that of purely natural science. Now, before modern science, with its view of nature as a purely passive machine, and long before the Victorian innovation that it was a machine with no God behind it, it was completely accepted that the world was full of things created for the benefit of mankind, such as herbs that would be potent treatments for disease. 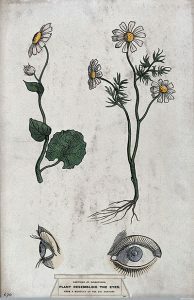 In fact, much of mediaeval science was concerned with finding ways in which such blessings might have been helpfully “labelled” by God, so that great physicians like Galen spoke of the “doctrine of signatures” in which useful plants would bear physical resemblances to the body parts they would heal. But the whole scientific system was based on wider correspondences between individual things, the humours and elements they contained, the influences of heavenly bodies corresponding to them, and so on. Surprisingly, this doctrine lives on as a kind of unstated assumption, as the natural world has been scoured for useful agents. Did you know that 40% of prescription drugs are still derived or synthesized from substances found in plants? But why would one ever expect such beneficial chemicals to exist, and if they do, in organisms entirely different to the human body? The truth is that the cornucopia has been found, exploited, and is now taken for granted as if it were a necessary fact rather than a profound mystery. 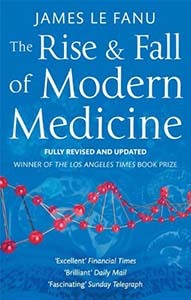 I recently watched a video presentation by James Le Fanu based on his book The Rise and Fall of Modern Medicine. Beware – he mumbles dreadfully, and the recording quality was bad to begin with. In it, he mentions a scientist called Selman Abraham Waksman (1888-1973), who was a major figure in the early history of antibiotics. In fact he and his lab discovered twenty of them, which is a good proportion of the total ever found. It will be no surprise that it earned him a Nobel Prize, and perhaps no surprise to the worldly-wise that there were arguments about why the boss got it rather than the assistant who made the actual discovery (of streptomycin), Albert Schatz. pathogenic organisms, develop antibiotics as adaptive defences. Baconian science, wresting nature’s wisdom from her grasp for human benefit, uses these weapons against the same, or similar, pathogens. If one wanted to make a philosophical point, it would be that you don’t need to believe that God seeds nature with benefits for man, but simply that the blind evolutionary struggle of lower organisms mirrors our own, so we can cash in. Except that Le Fanu says that Waksman’s research completely undermined that view. The concentrations of natural antibiotics found in the soil were consistently too low to be of any practical use to the organisms producing them in killing pathogenic bacteria. Waksman concluded that these substances were produced fortuitously, as far as their sources are concerned, and so equally fortuitous in their astonishing benefits for mankind. And that proves that chance, and not a beneficient God, is the reason there are antibiotics in the soil and all those other beneficial drugs in plants. QED. But it doesn’t, of course, in any way. It just shows that the unknown causes of neutral evolution (assuming the truth of current neutral theory whilst it remains in fashion!) have a remarkable and disproportionate propensity to produce active agents and things of use to humanity, making it more likely that they are not fortuitous at all, but designed. One valid conclusion would be that “chance” in nature is a category error, and that’s a conclusion I have made many times here. One might say that “chance” is the placeholder you have to insert into nature when methodological naturalism forbids you to use “God’s providential choice”. But even when chance may be effectively excluded, the conclusion that beneficial things in nature are not intentionally so is purely one of metaphysical theory imposed upon the world, not a conclusion from nature itself. 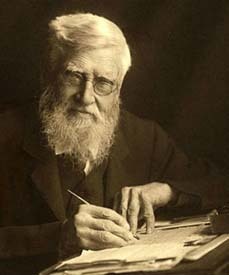 Alfred Russel Wallace was the co-discoverer, with Darwin, of the theory of evolution by variation and natural selection. In his day he saw it as a more lawlike process than do most people now. Wallace thought that minute variations occurred in all directions, but that selection by the environment was so ubiquitous and powerful that it explained the whole of biology: if you knew enough about the environment, you would be able to predict the direction of evolution reliably. But despite that, and even despite his spiritualistic beliefs (which are better understood, I think, as a belief in a heirarchy of spiritual beings under God), Wallace was certain that behind the adaptive colours of flowers for attracting pollinators, their rich variety was ultimately for the delight of mankind. In conjunction with our colour vision (also with its own “natural” evolutionary story”), “they seem… to have been given us with our higher aesthetic and moral attributes, as a part of the needful equipment of a being whose spiritual nature is being developed, not merely to satisfy material needs, but to fit him for a higher and more enduring life of continued progress.” This aesthetic purpose he applied across nature – to the birds of paradise as well as the roses. But Wallace treated utility in the same way – the different properties of woods, for example, are designed for the varied uses of man as much as for what he saw as their adaptive value to species of trees – but what, perhaps, may nowadays be thought of more as neutrally-produced happenstances which trees have in some way used to find ecological niches in which they can survive. The facts he encountered were exactly the same as the facts Darwin encountered (given that they compared notes frequently). But the worldview of Darwin saw only “nature red in tooth and claw” with little or no sign of God’s benevolence, whilst the worldview of Wallace saw providence everywhere he looked. Antibiotics are one of the signs of the fall of modern medicine, in that using them “merely to satisfy material needs” in Wallace’s words – to increase yields in farming, most damagingly, but also to pander to western people who will pay physicians for them in the erroneous belief that it will get them back to work more quickly if they have a cold – has led to widespread bacterial resistance to nearly all of them. Virtually all known antibiotics were discovered in the first few years of research. We have no reason to assume there are many more to be discovered, and they are actually too complex and mysterious to be developed purely from our knowledge of bacterial and human biology. We have relied on, and squandered, the gifts of nature. Still, they remain useful enough to have save the lives of many people reading this. 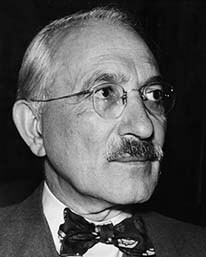 Waksman’s work showed that every antibiotic is an evolutionary fluke of no obvious benefit to the organism that produces it, and therefore doubly fortuitous in their benefits to mankind. But do you nevertheless give thanks to God for his loving provision of a world stocked with peculiar blessings for those created in his own image, or do you think that would be inappropriate, given that those blessings apparently arose by mere chance? Your answer reveals your worldview. Streptomycin and its binding site on the bacterial ribosome. From Wilson, Daniel. (2009). 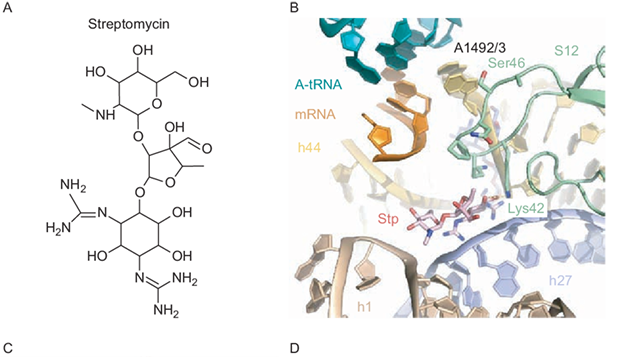 The A–Z of bacterial translation inhibitors. Critical reviews in biochemistry and molecular biology. 44. 393-433. 10.3109/10409230903307311. This entry was posted in Creation, Medicine, Science, Theology. Bookmark the permalink.